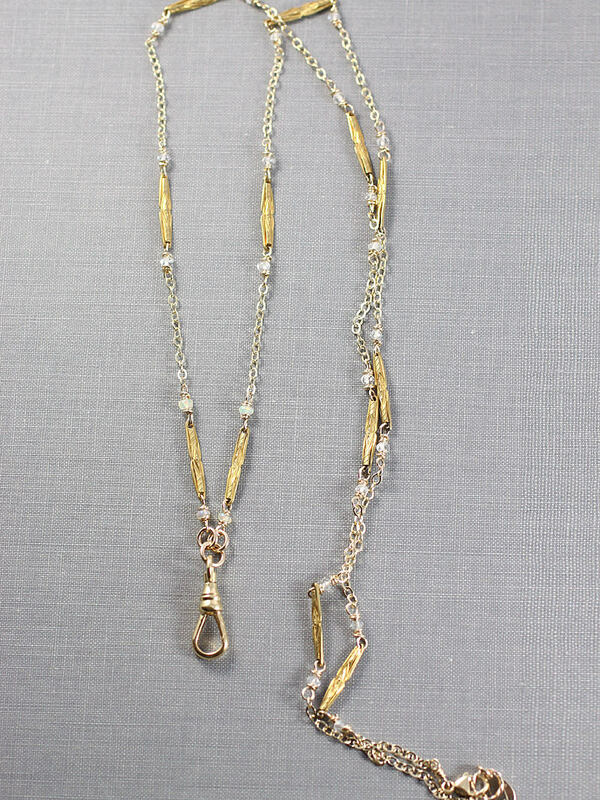 The perfect harmony of old and new, I have hand wire wrapped unique antique gold filled bar links with the gemstones opal and moonstone. 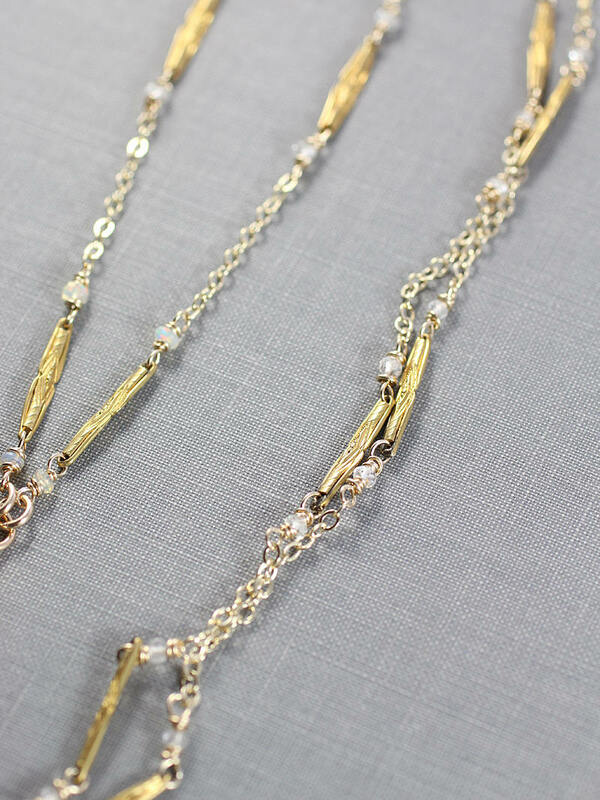 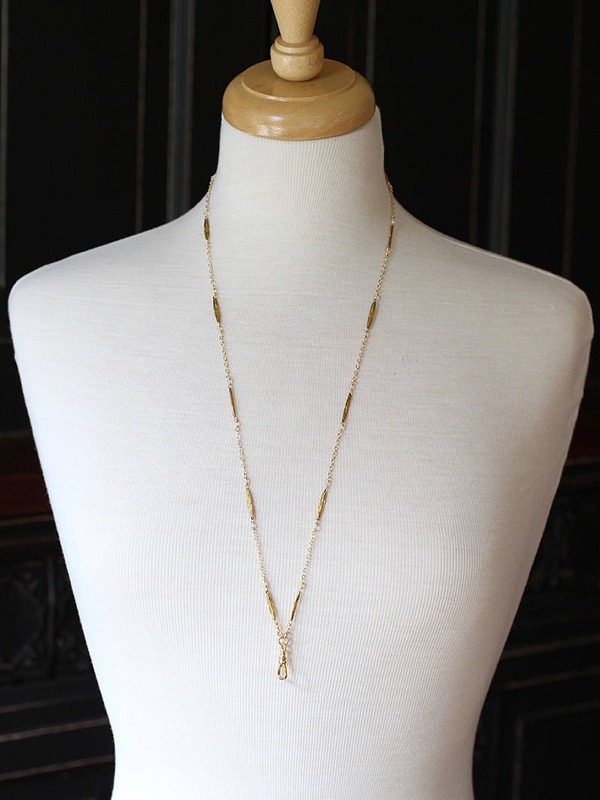 I then added a touch of new 14k gold filled cable chain for added length as well as a balance of detail and space. 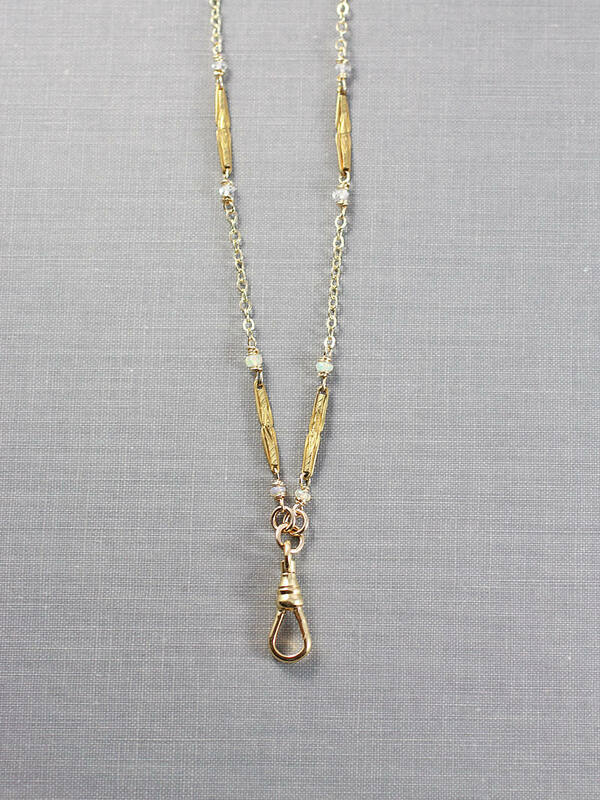 The gemstone and bar link design leads your eye to a swivel clasp in the style of the old Victorian watch fob chains. 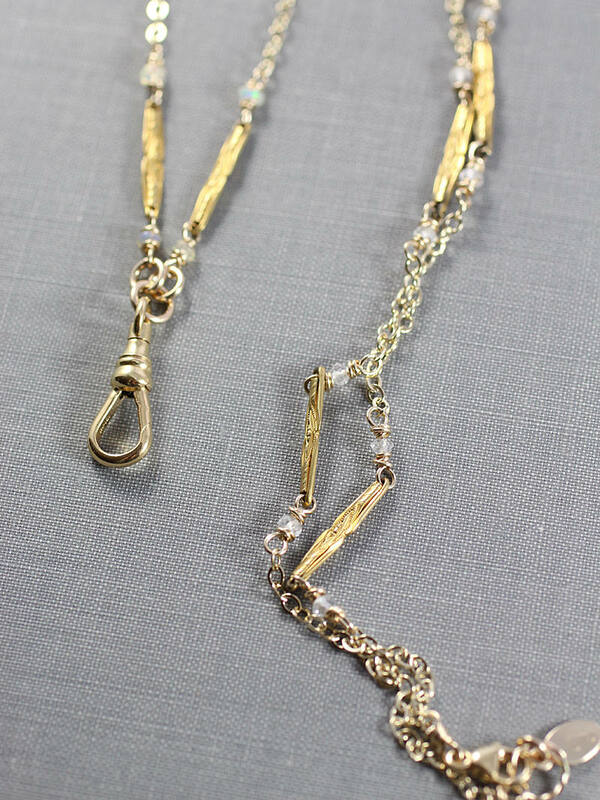 The 12 karat gold filled swivel clasp is ready to hold the pendant or charm of your choice. 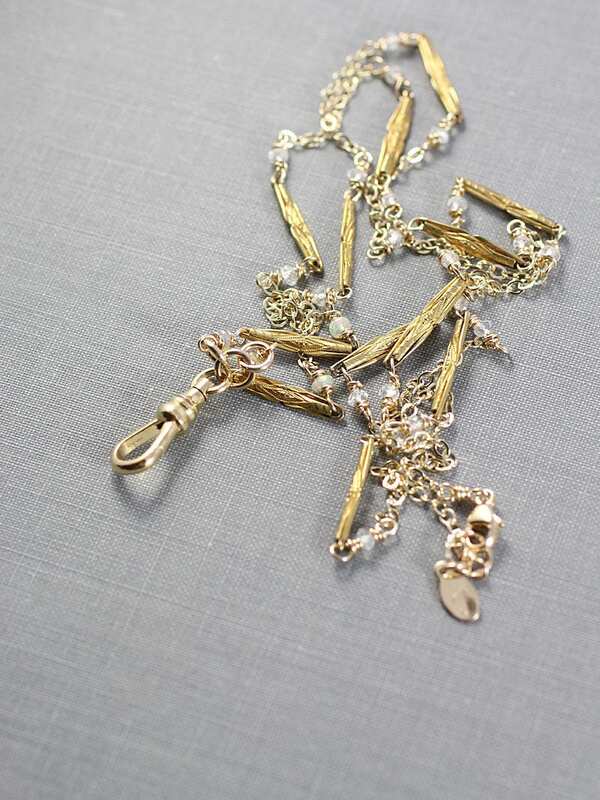 The design is hand finished with a 14k gold filled lobster claps and ring.